Are you interested in special visual effects or VFX software? We are evaluating the top 7 VFX software available for download and will let you know the unique features in each of them. It is used to create video and television content with special effects like digital animation. The software is available for free as well as a price. 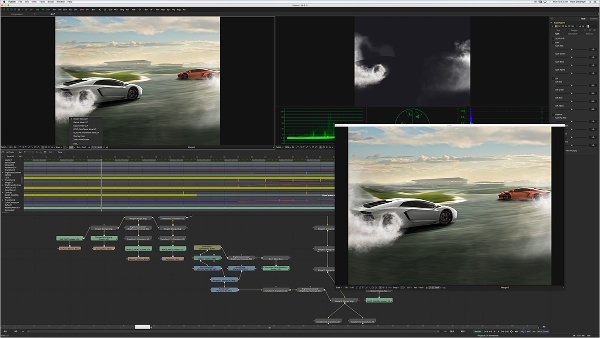 Let us now look at the main features to help you choose a VFX software. Wiring Diagram SoftwareRed Giants Effects Suite is a set of nine tools that help the user to provide special effects to the digital content. There are more than 100 presets for 3D Lens flares. The clean up tools for keyed footage are easy to use. You can give a video a cartoon look with the availability of presets. This is from Autodesk, a leading vendor of VFX software. 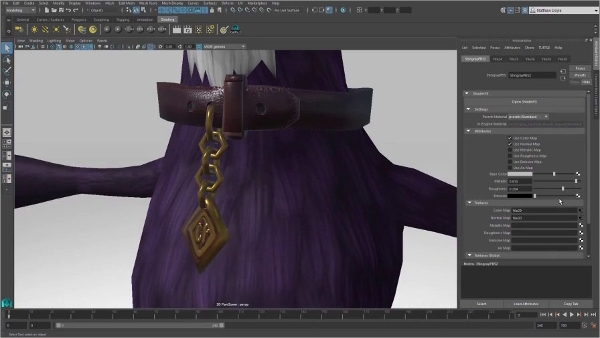 FBX is an adaptable file format for 3D animation software. It helps in efficient workflows by exchanging data which is compatible with VFX tools like 3DS Max and Maya for animation modeling. It helps in easier data exchange between teams. It helps in creating a library of digital assets. We reviewed VFX software which was available for evaluation. We now will look at the software which runs on specific platforms like Windows, Mac, and others. You can choose the product based on the features and the platform you are most comfortable with. Blender is an open source software available freely for download and uses for any purpose. It has a very powerful and realistic rendering engine called as Cycles. It has an array of modeling tools to create and edit your models quickly. 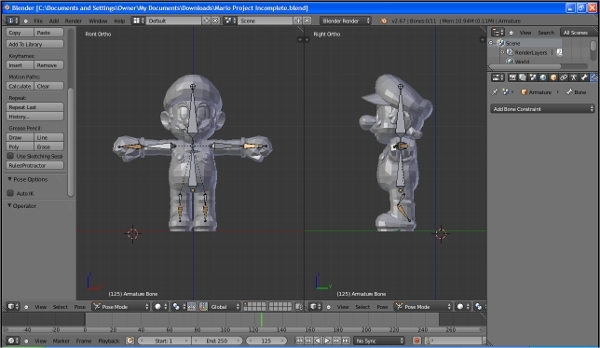 It is very easy to convert a model into a posable character. 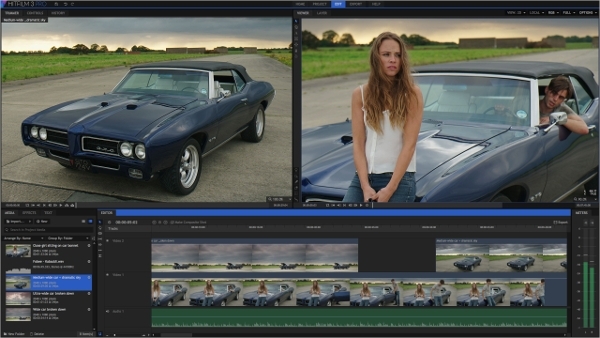 You want to make a great film on the Mac platform and HitFilm is the right product which allows you to do it. It has a mix of video editing, visual effects and 3D composting for film makers. You can create a huge scale movie on a low budget. It has a library for special effects which can be used. 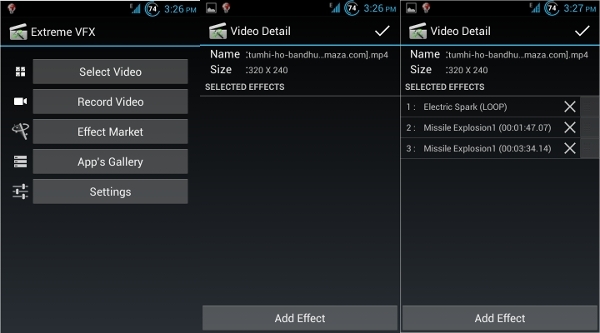 This software is used to add VFX to your newly added videos on the Android platform. You can add more than 1 effect at a time from the 20 effects available. You need to note that 4 effects come free with the software and rest need to be bought. It supports the entire workflow and the VFX data standard helps to move data from one application to other with complete integrity. The software has color management tools to keep the color consistent. It makes color matching, profiling from different cameras simple. We have reviewed 7 VFX software which is used to give special effects for TV or movie production. It can be used to give special effects for your homemade videos too. You can choose from the above software and create good movies or videos in a cheap and efficient way.